Scott Cagle, MSU Extension agent in Chickasaw County, coordinated the meeting after visits to ports in Mississippi and abroad. One of these was the Yangshan Deep Water Port outside of Shanghai, China. Cagle and nine other Extension agents used grant funding to subsidize travel expenses to eastern China for two weeks in 2016. During their trip, they toured ports, storage facilities, markets and universities in Shanghai, Tai’an and Beijing. Prior to the trip, they also toured each port in Mississippi. Cagle and Meyers recently attended a Southern United States Trade Association conference. 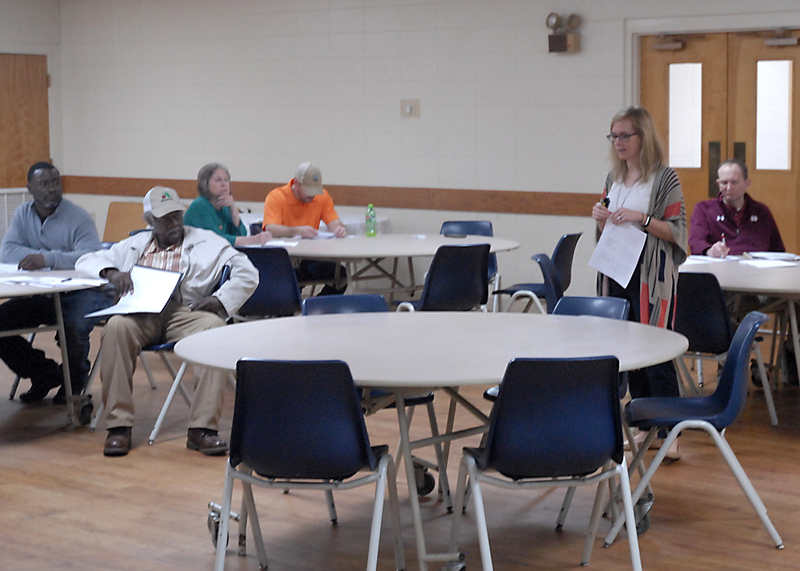 They learned what SUSTA -- a U.S. Farm Bill-funded non-profit trade association --could do for sweet potato growers in Mississippi. Susan Lawrence, grants management and marketing specialist with the Mississippi Department of Agriculture and Commerce, noted that growers didn’t necessarily have to look far outside the country to find export markets. She also dispelled myths about exporting, such as it being an option only for large businesses and for growers who are fluent in foreign languages. Of U.S. agricultural exporters, 97 percent are small- or medium-sized businesses, she added, with 67 percent of those having 20 or fewer employees. Danielle Viguerie Coco, marketing and communications director for SUSTA, described the organization as a foreign arm of the U.S. Department of Agriculture that implements promotion programs for small businesses in the South to potential markets. She noted that the U.S. exported $172 million in sweet potatoes in 2016.